Both new and existing HSBC credit cardholders can earn 20% bonus Qantas or Rewards Points on purchases until the end of the year. Through the link above, it seems cardholders are offered a 20% bonus but there have been reports of emails being sent with higher targeted offers, so check your inbox. Unlike last year, when you were automatically registered, you must SMS the last 4 digits of your credit card to 0447 174 641 using your HSBC registered mobile number. There are more details here. Most purchases are eligible – minus the usual culprits of balance transfers, BPAY payments, cash transfers, etc – meaning this is an easy way to top up your balance for your next redemption. The bonus points will appear on your statement by 31 January 2018. The bonus caps out at 10,000 points, meaning that you would need to spend $50,000 by the end of the year max out the offer. If you are a new customer, note that the 20% extra points do not apply to sign-up bonus points. 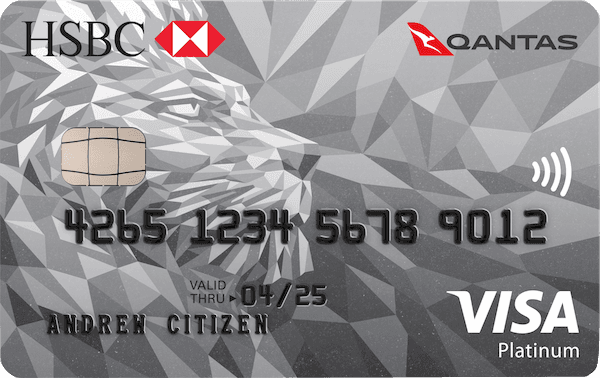 However, the HSBC Qantas Platinum Visa is currently offering an increased 60,000 bonus points sign-up until the end of October, which is one of the better offers out there for a sub-$200 annual fee Visa/Mastercard. Just don’t forget that the regular points cap for earning 1 Qantas Point per $ spent on that card is $2,500 per statement period, after which point it halves. So if you meet the minimum $3,000 spend to trigger the 60,000 sign-up bonus by the end of the year, you’ll earn a regular 3,000 Qantas Points on that $3,000 spend, plus another 600 with the current bonus points promotion, giving you a total of 63,600 Qantas Points for spending $3,000. It’s enough to get you some very good-value redemptions on Qantas and its partner airlines, such as one-way Qantas Business Class between the East and West Coast, or Emirates First Class from the East Coast to New Zealand. 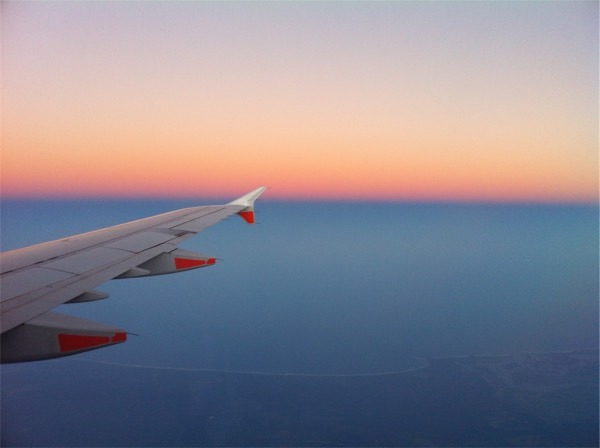 Our take on the best uses of Qantas Points is here. 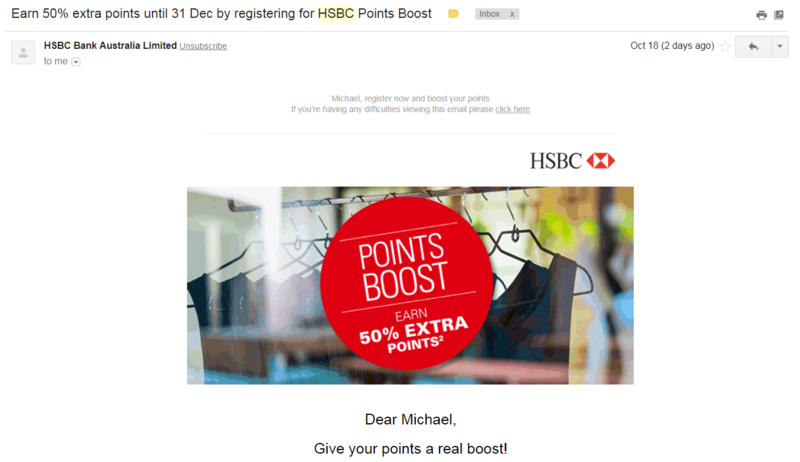 This is a really easy way for new and existing customers to increase the points earned from their HSBC Qantas Platinum Visa over the next couple of months. “The bonus points will appear on your statement by 31 January 2018 (not 2017)”. Thanks for linking for us. We have updated the guide with the 2017 promo. I think this might be targeted as I received an email 2 days ago as an existing Qantas Platinum cardholder for a 50% bonus points boost. 15 October was when it started, so if you’re an existing cardholder, you’ve already been earning for a couple of weeks!